It's been a little while since I first walked into Ana Kamiar's studio as a fresh and super green college student at Ai MIUAD in Miami, Florida, but I still remember the feeling I had - immediately knowing that this class was going to be different. I knew that Black and White Photography was going to be a welcome challenge and learning experience for me. I had developed a love for photography early on - a hobby I picked up from my father, who is not a professional photographer, but is one of those rare individuals that just "gets it". He has "the eye" and he passed that passion on to me. I was excited at the prospect of truly getting to learn about film photography - to get a grasp and understanding of the origins of capturing imagery and developing those images from start to finish. What I could not anticipate were the depths of artistic abstraction that I was in for. It's difficult for me to write an intro about Ana Kamiar without getting personal, so I decided to stop trying. On the surface, Ana is a brilliant artist, photographer, and a phenomenal arts educator. It's just beneath the surface that you experience the profundity of the way she sees and thinks - particularly about photography. A simple assignment for the week: "photograph light". Next week - "capture shadow". The week after - "photograph mass". It's not too long before you realize that your simple assignment is challenging you to see in ways you might not have bothered to try seeing before. Anyone can take a picture of a shadow. But to thoughtfully consider a shadow? That's a different conversation. That's the beauty of Ana. I also didn't know those years ago that I would find myself in a position to reconnect with and interview one of my favorite college educators about her art, her journey, and her inspiration. I'm honored to share my conversation with Ana Kamiar here today. I do hope you will go beyond reading these words between us and thoughtfully consider them instead. You can meet Ana and appreciate her work at A Vision For Art opening on April 26th. What happens when you mix a unique, exceptionally executed, and relatively rare artform with observational social commentary? You get Hiromi Moneyhun's upcoming exhibition Inside Out, opening on March 28th. The exhibition, running until June 27th of this year, is a commentary on the emergence of women's individuality in the face of the historically enduring struggle towards emancipation from and within overarchingly male dominated societies. When we first spoke to Hiromi Moneyhun in December of 2016, she was rounding out a very busy year of exhibitions highlighting her extraordinary Kirie (the Japanese art of paper cutting) masterpieces. We spoke with her this week to catch up on what has changed for her since then and to learn more about this amazing new exhibition. 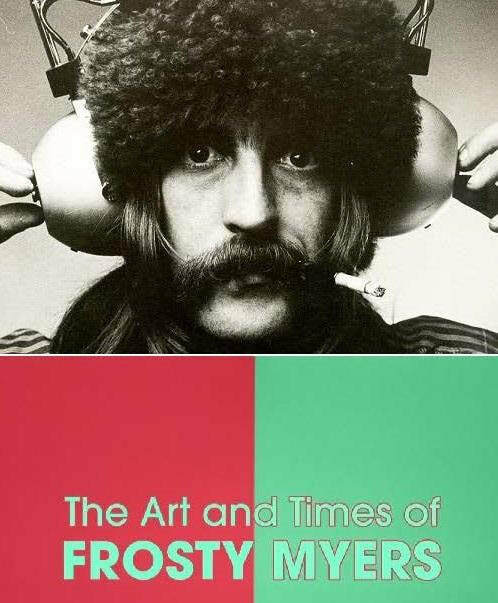 "MY HEART'S MY AMPLIFIER - I DON'T NEED NO MIC"
What you probably didn't know was who the creator of the original piece was (or you thought you did, but you were wrong - it wasn't that guy/girl). The piece sparked a wildfire - it was extremely relatable amongst poets and poetry enthusiasts alike, tinged with raw emotion, and encouraged crowd participation. Before we knew it, new verses and monologues were being added and versions started popping up (both verified and unverified) throughout the spoken word diaspora. It was also hard to ignore since the piece is performed without a microphone and begins with a poet taking the stage and projecting, theatre style, with a force meant to make you shut up and listen. Perhaps it's fitting, then, that the originator of Amplifier is none other than Jacksonville born and bred spoken word and hip-hop artist, KnightKrawler. Seemingly modest, he transforms himself on stage through his words and expression. It's this quiet talent, consistency, and passion that has earned him the designation of international artist, published author, and motivational speaker. Amplifier has now a dozen years to its name and the momentum has yet to cease. 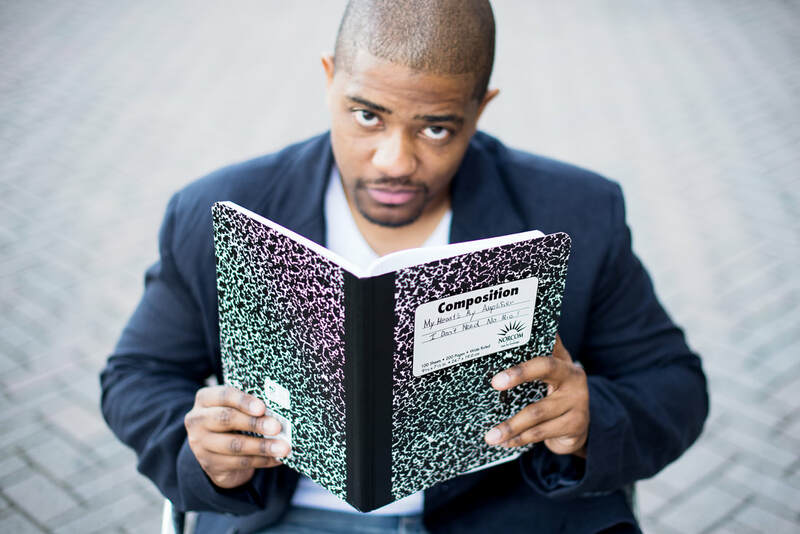 KnightKrawler is steadily broadening his platform and using it to give back by helping the next generation of poets to build their confidence and understand how to navigate the spoken word landscape. Today we sit down with Krawler to learn more about where he's been and where he's going to take his Amplifier next. 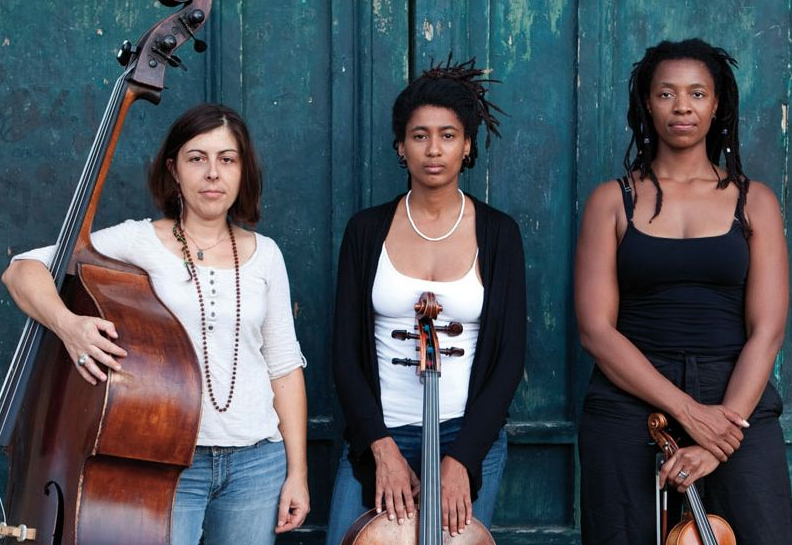 In anticipation of the concert, we chatted with Mazz Swift (also known as MazzMuse or MizMazz) and learned about her personal musical journey, what motivates her as an improvisational artist, the origins and development of HEAR in NOW, and why it's important to her to take on the responsibility of "shifting the focus" in classical music as a person of African descent. The Wise Soul - 10 Questions with T.W.A.N. They say still waters run deep - that often a quiet or placid facade hides an unforeseen passionate or subtle nature. Such can be said of Antwan Dickens, better known as T.W.A.N. A Jacksonville native, T.W.A.N. has been an active part of the Duval Underground Hip Hop scene for years. From freestyling to producing, he's been unpretentiously honing his craft while always remaining humble and gracious. In a realm where bravado tends to dominate, he has consistently produced quality content while sharpening his skills, allowing his work to speak for itself. The message has been clear - he's a beast and he doesn't have to brag on it. He released his debut, self titled album in the fall of 2016 to rave reviews and has recently followed up with his sophomore project - The Wise Soul - a much more polished, sophisticated, and self aware body of work. His evolution from YOUNG TWAN The Problem Child to The Wise Soul is more than evident in his lyrics and production. Heavily laden with Duval swag, the album features cameos and collaborations from a handful of equally talented Duval powerhouses like Ché, Ebony Payne-English, Higher Learning and boasts production credits to Tough Junkie as well as Executive Production credits to himself. Getting to know The Wise And Nice One might take some time, but his music is the perfect place to start. His is one of the many voices of Duval and he has quite a bit to say. Every new generation reaches a point where they cross the threshold into culture creation over culture assimilation. It seems that just as our society is beginning to settle into the notion that we are squarely in the Age of the Millennial, Gen Z - the generation following Millennials made up of people born from the mid 90's to the early 2000's - is taking it upon themselves to be heard, be seen, and be an integral part of shifting our decidedly (or, perhaps, debatably?) staunch paradigms. Veritably, that case can be made for any and every new wave of twenty-somethings that has ever been or ever will be. It is indeed the job of the youth to challenge the status quo and force their predecessors to answer the hard questions and explain to the newcomers the what and why of the world they will inherit and inevitably pass onto the next iteration of young visionaries. ​For as many similarities as the generations share and as many times as history will inevitably repeat itself, each new phase bears its own distinct nuances. Tenny Rudolph is one of the many unique and talented young people making their way towards a new level of artistic expression and freedom in Jacksonville. Rudolph has, at age 22, already made quite a name and presence for himself in the creative sphere. A prolific film photographer, his portfolio is rife with evidence of his talents. His original music is available on YouTube, Spotify, Apple Music, Google Play as well as other streaming outlets. He released an album, Pulp, in 2018, and has already released two singles in 2019 - Blossom and About a Crush. He also maintains a strong online and social media presence on Instagram and Twitter and is officially signed and represented by Adolescent Content - a Gen Z Advertising and Marketing Agency. Tenny is part of the next generation of creatives that are eager, willing, and prepared to change the culture on their own terms, one creative project and production at a time - and they're not waiting around for or asking your permission to do so. I'm quite certain that Robert Nesta Marley was not talking about a Lantern Parade when he uttered those words. But he was most certainly using light and darkness as metaphors to say - we can all do better and promote positivity. When Harry Dixon Loes wrote "This Little Light of Mine", the sentiments were the same. Whatever light or positivity or goodness you have within you - let it shine, shine, shine... let it shine. 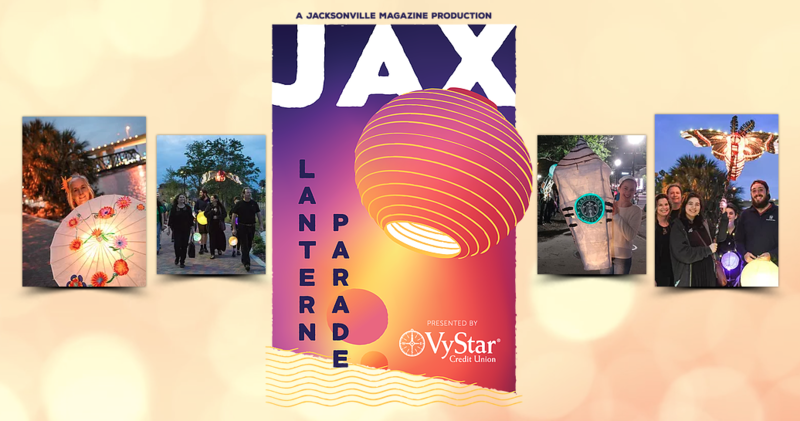 Perhaps, then, it's no surprise that light had the same inspirational impression on Joseph White - Publisher and Editor in Chief of Jacksonville Magazine when he visited the Atlanta Lantern Parade in 2017. Looking to bring something new, different, and unprecedented to Jacksonville, he decided to see what the appeal of the parade was all about. Once he saw it, you could say a lightbulb went off, and he decided to produce a similar event here in the River City. Pair that with the initiative of raising money for art supplies and equipment and he had the blueprints for a delightful occasion. Despite a few seemingly disastrous setbacks, 2018's Lantern Parade was a huge success, and this year is anticipated to be even better. In the weeks leading up to the parade - which is set for Saturday, February 16 - there have been multiple lantern making workshops held at various venues around town. People are encouraged to use their creativity to design their own lanterns or light-giving apparatuses and then join in the parade instead of merely watching from the sidelines. The parade route runs from the Riverside Artist Square under the Fuller Warren Bridge and continues down the St. Johns River to the Jacksonville Landing. The Parade itself begins at 7 PM and concludes with a Downtown fireworks show at 9 PM. ​This week we got the chance to speak with Joe and learn about the history of the parade, the motivations behind it, and where we can expect to see its light spread next. "When you want something, all the Universe conspires in helping you to achieve it." Monique and Adam Madrid are the kind of visionaries every community needs. What started as an idea in passing soon developed into the foundation for what has become the LOL JAX Film Festival - a local Short Film Festival with a mixing in of Stand Up Comedy. The project launched two and a half years ago and has already gained a huge amount of notoriety, recognition, and community support in a relatively short amount of time. The idea was to create a platform to showcase short films and talent by local community filmmakers, actors/actresses, and comedians while promoting positivity within that same community. Perhaps it was fortuitous that the idea came to Monique while they were attending the 2016 Jacksonville Horror Showcase hosted at Sun-Ray Cinema in Historic Five Points. A little over a year later that very same venue would be the flagship site for their own film festival. Pairing their love of cinema and filmmaking with a dash of comedy between the lines has proven to be just the right recipe for success for the pair. They have big plans on the horizon as they approach their third year in operation and we're happy they made the time to discuss the past, present, and future of LOL JAX with us. When you get into the kind of head space where you truly begin to break down, understand, and assimilate the ideas that da Vinci references here, you can easily be perceived as beyond the common sphere of what most consider to be reality. Which, oftentimes, can be quite a shame because the type of mindset that lends itself to this broader conceptualization is typically the type that can also break through paradigms that have often overstayed their welcome among our shared human experience and prevent us from moving forward as humanity. Abstract thought and application are part of the ways by which we evolve as a culture, and it's this same 'just outside of accepted reality' perspective that can get us there. Jeremy Nix, or perhaps more recognizably, The Balance King, maintains the sort of globalist outlook that, when you slow down, really listen, and consider the words and thoughts he conveys, demonstrates the outcomes of this same mindset. He's an artist that reasons as a scientist, and a scientist that understands how the application of scientific methodology can inform his art. ​He also has a pretty delicious sounding recipe for what he calls 'Vegan Chili Crunch' that he shares with us today, along with his very interesting takes on art, existence, and his purpose on this journey. It's not every day that you get to sit down and talk with an actual living legend - though they are hardly the types to claim that designation on their own. It's even less likely that that individual lives and creates in your same city, so we understand just how lucky we are to not only have an Artist like Paten Locke in Jacksonville, but also to be able to pick his brain for this interview - and, dare we say, call him a good friend! Considering his extensive, highly impressive resume and insane amount of skill, Paten is extremely unpretentious and down-to-earth. Born in Boston and raised by artist parents, his life has been full of music and creativity since day one. 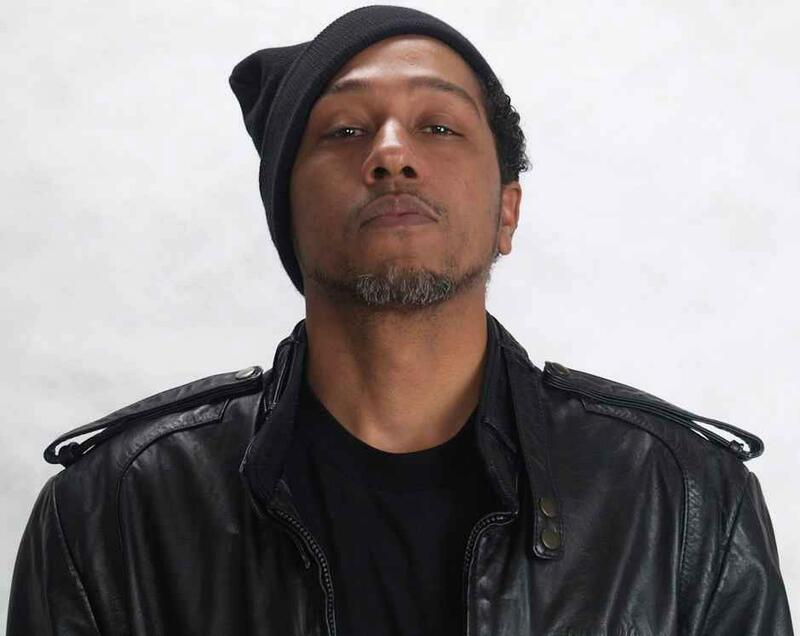 From "digging" through his father's expansive record collections as a child, to amassing a mind-bending collection of his own that threatens the very real possibility of taking over his home, his repertoire runs the gamut from DJ, to emcee, to producer, with some of everything else in between. And while his "spirit is fundamentally and philosophically Hip Hop", his tastes are as vast, eclectic, sophisticated, and it shows in every project that he touches - and there are MANY. Read on after the jump to get to know the visionary and constantly developing Paten Locke, and understand why he is a mainstay in Duval's Hip Hop history.